Win was 8th win and 16th podium for Sebastien Ogier. Second place was 115th podium for Sebastien Loeb. Third place was 6th podium for Mads Ostberg. Win was 2nd win and 9th podium for Volkswagen. Second place was 212th podium for Citroen. Third place was 316th podium for Ford. 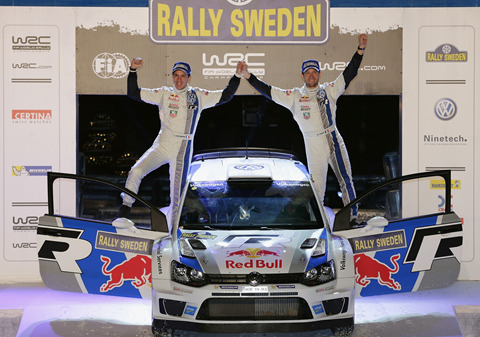 Ogier gave Volkswagen their first WRC win with the new car with stunning performance. And that in an event where expectations where entirely different. 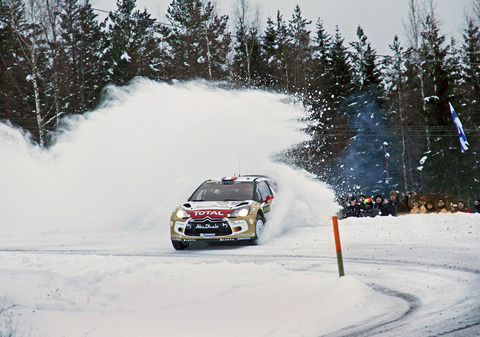 Loeb came to Sweden in order to try to win this classic event without championship pressures. He tried hard, using all of his skill and every bit of the road but that wasn't enough. 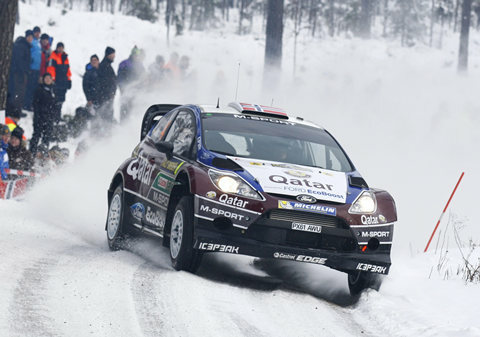 Ostberg won his personal battle against Latvala and finished on podium in Sweden third year running.